Although we cannot control God’s time, it is part of the human condition to want to receive the thing we are waiting for as quickly as possible. Anxiety was born in the very same moment as mankind. And since we will never be able to master it, we will have to learn to live with it—just as we have learned to live with storms. Now, these many centuries later, the wise man’s answers are a record of the human values that have endured throughout time. 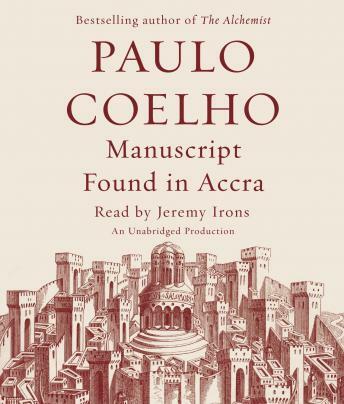 And, in Paulo Coelho’s hands, The Manuscript Found in Accra reveals that who we are, what we fear, and what we hope for the future come from the knowledge and belief that can be found within us, and not from the adversity that surrounds us. Makes you think and see that there are different ways to view everyday life and events.